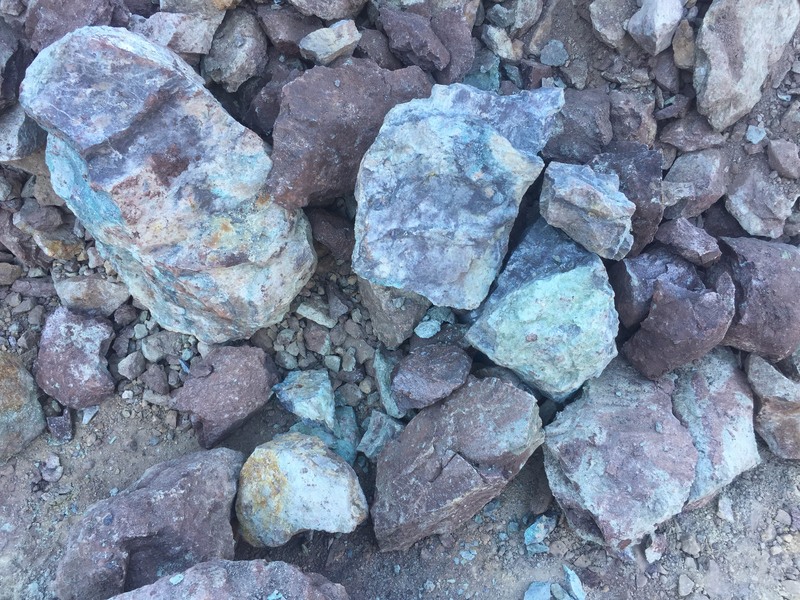 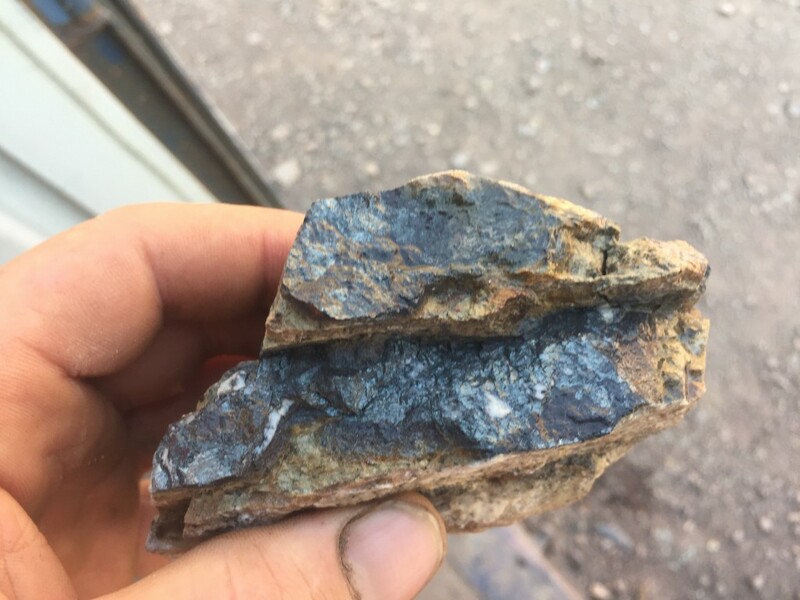 The Bayhorse Silver Mine has an Inferred Silver Resource (Sep, 2018) of 292,300 short tons at an average grade of 21.65 troy ounces per ton (opt) silver (Ag) for total contained silver of 6,328,400 ounces. 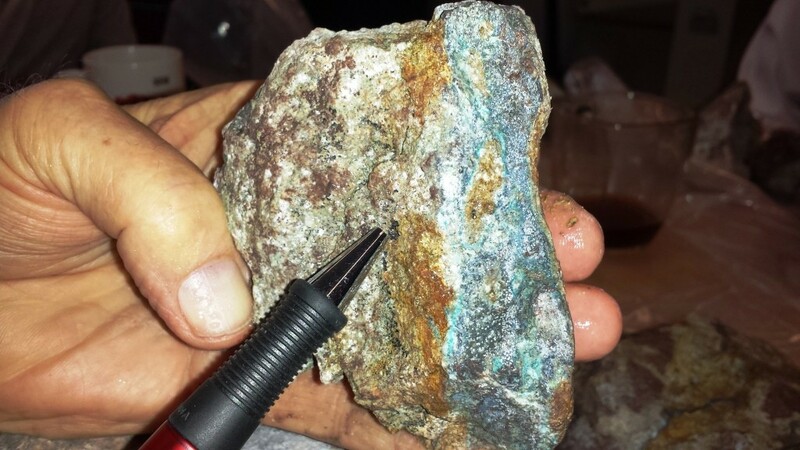 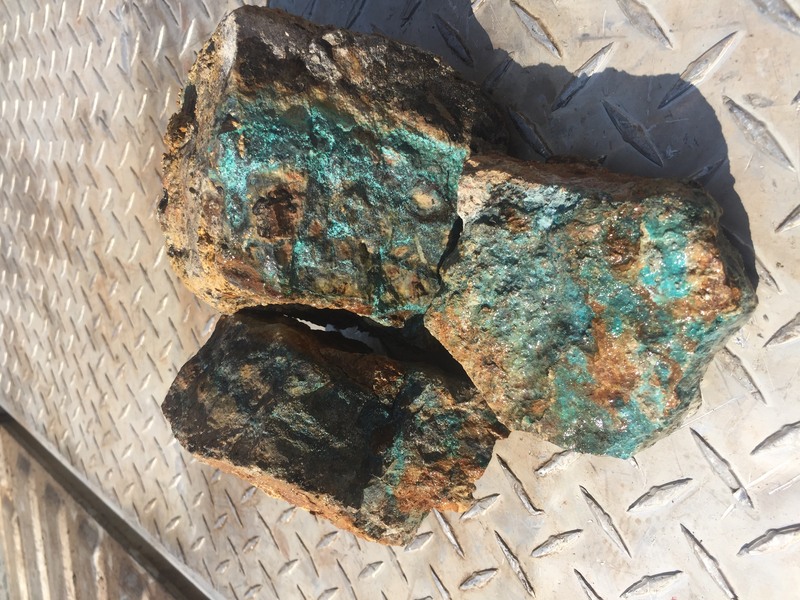 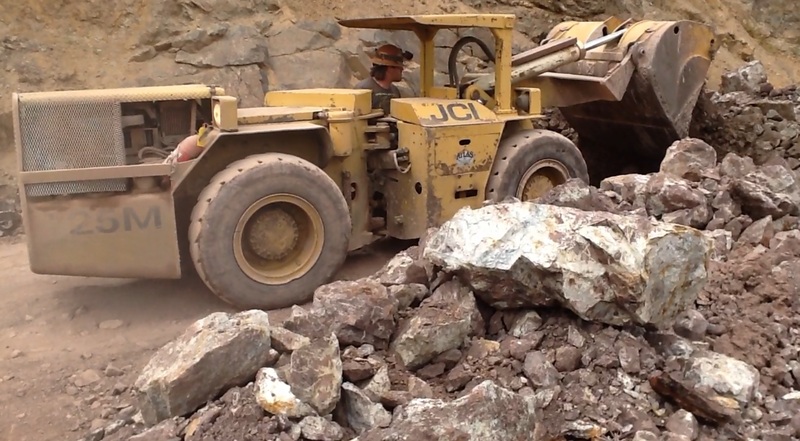 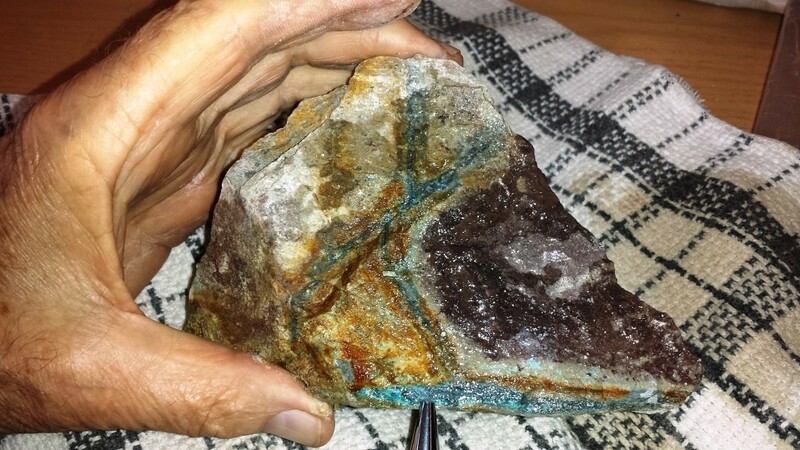 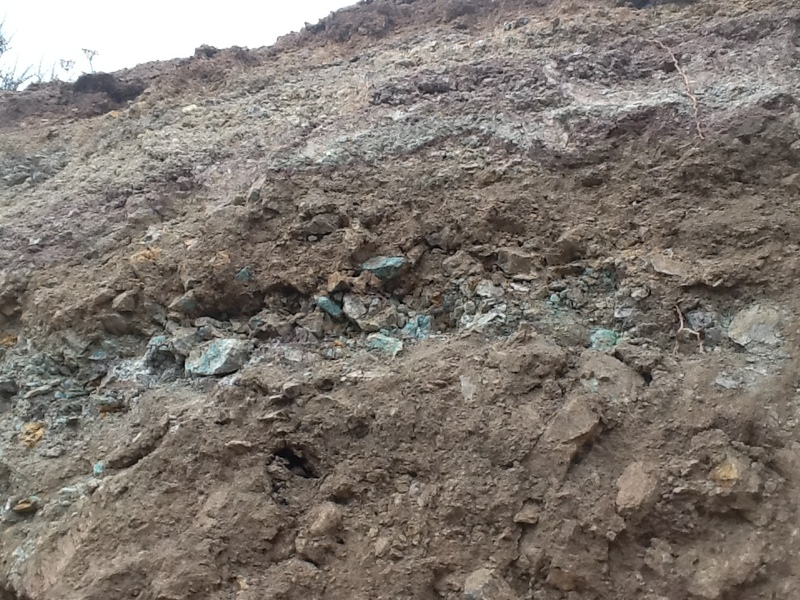 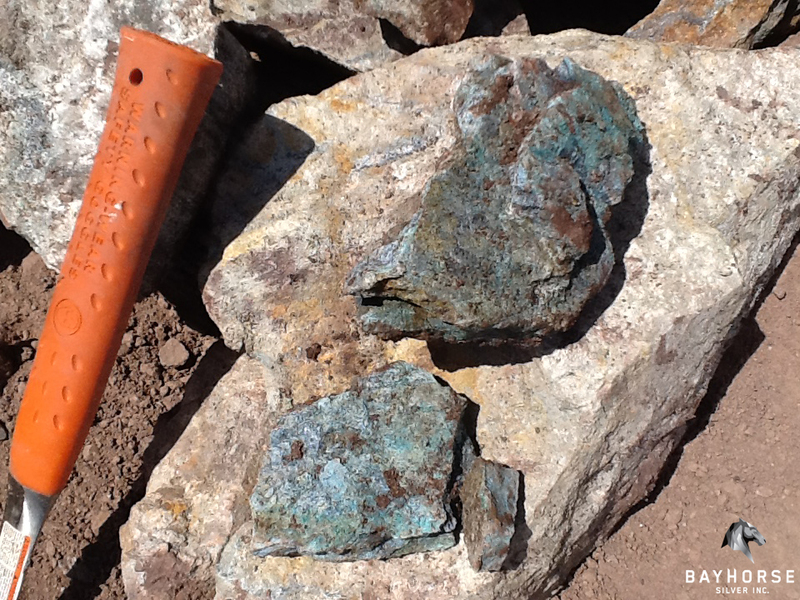 The mineralized material contains significant amounts of copper (Cu) and zinc (Zn), however the historic data utilized in the mineral resource estimate did not allow for a reliable calculation of the grade of Cu and Zn. 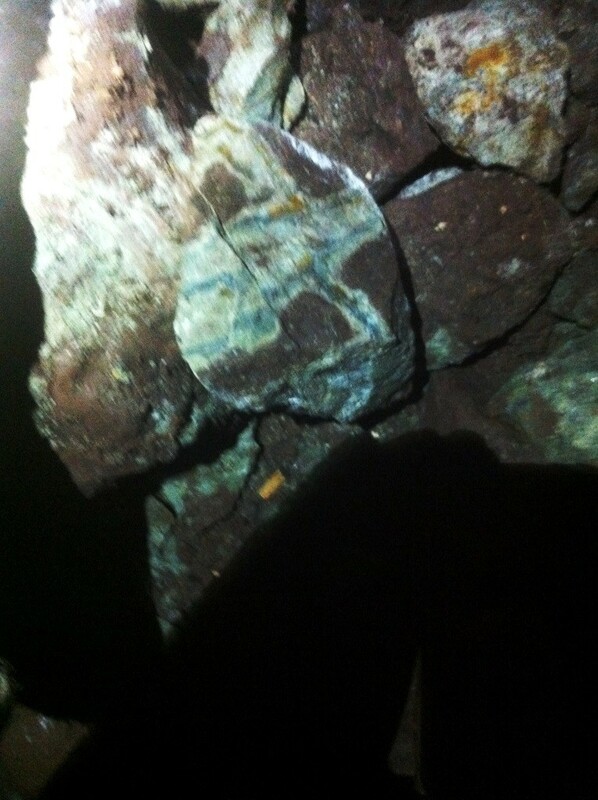 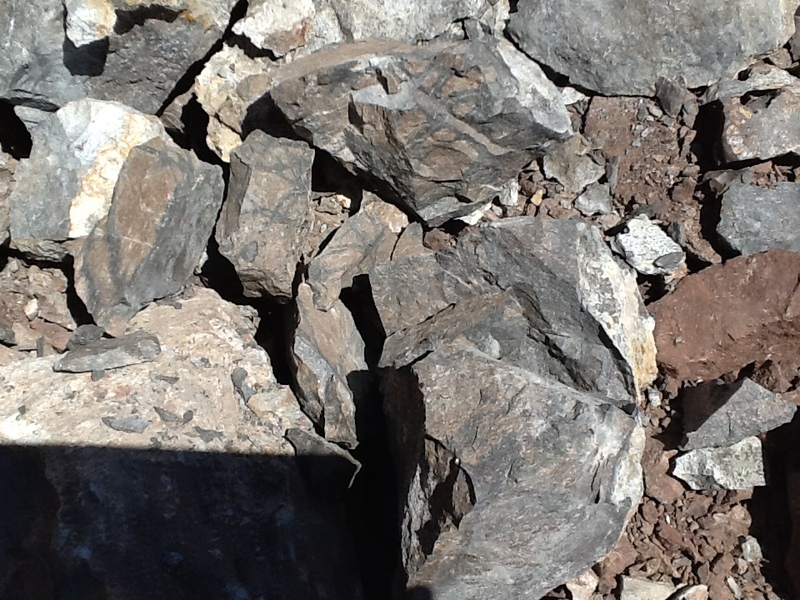 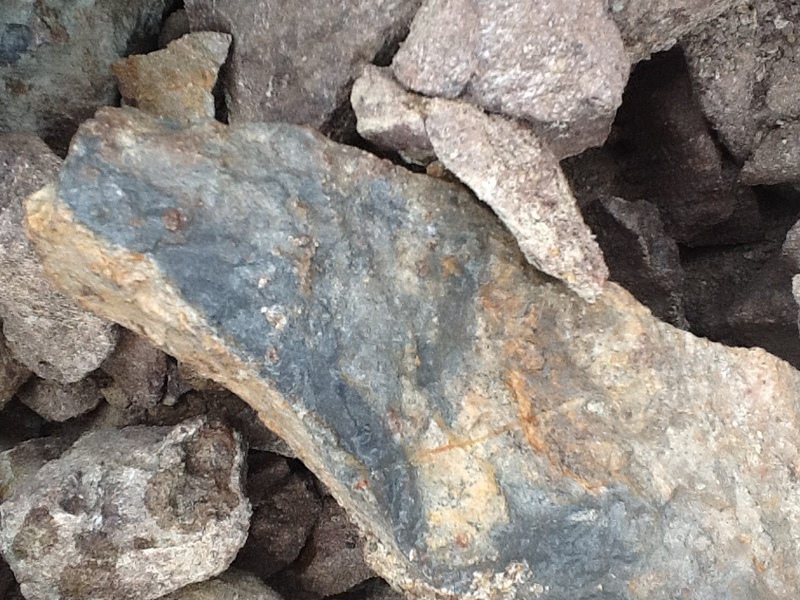 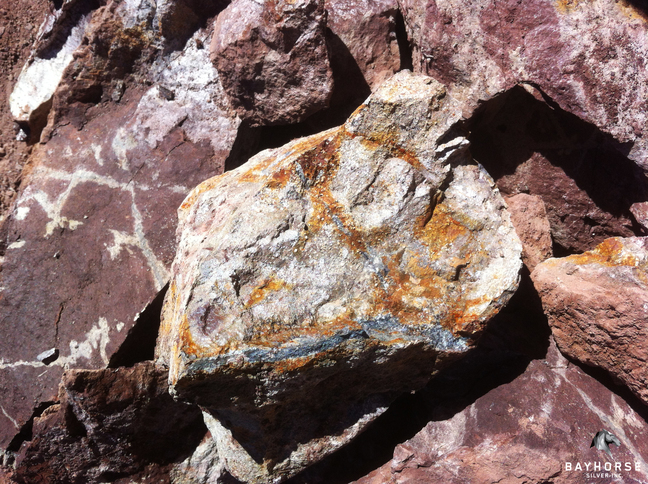 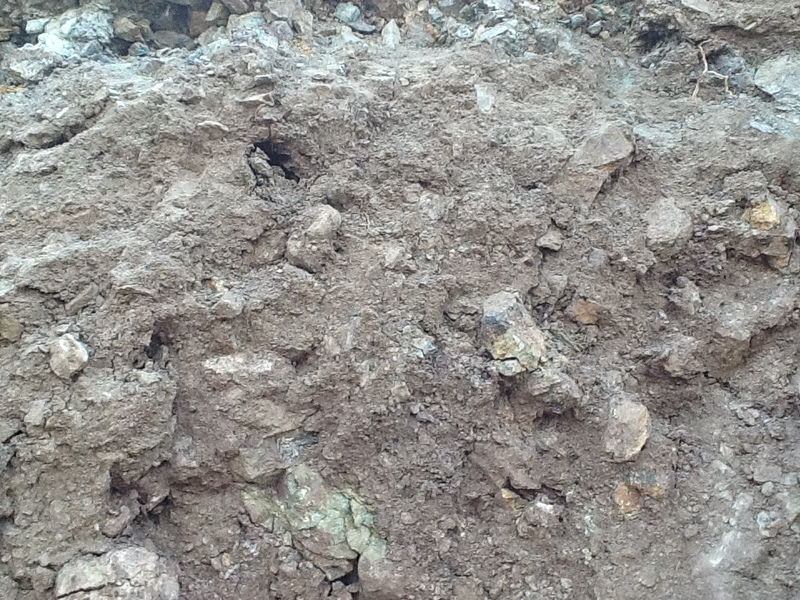 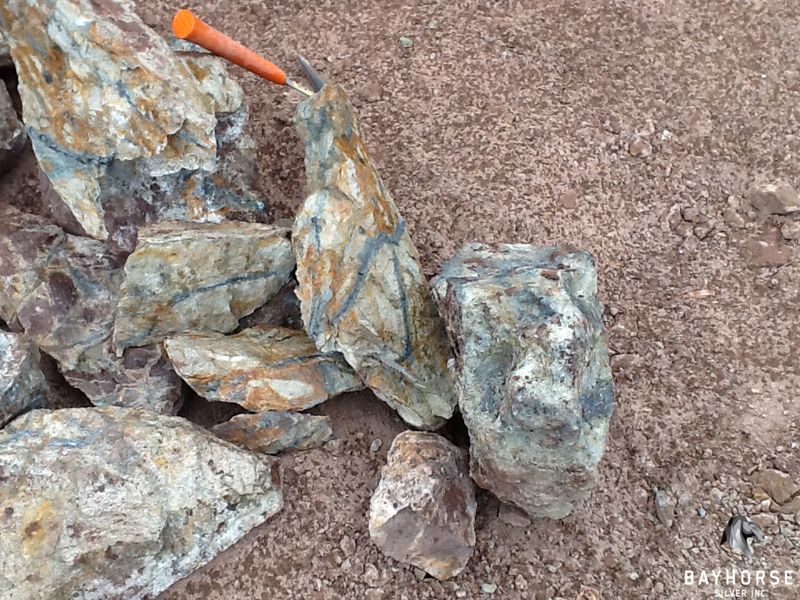 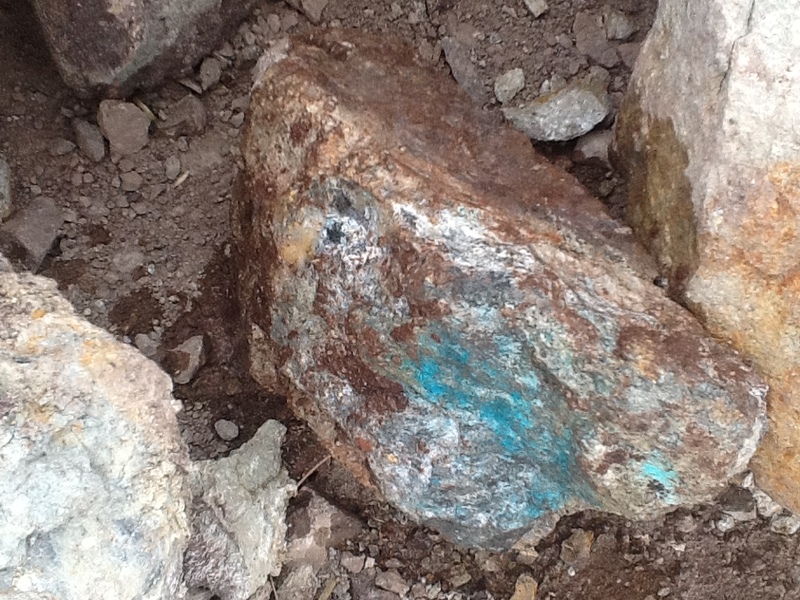 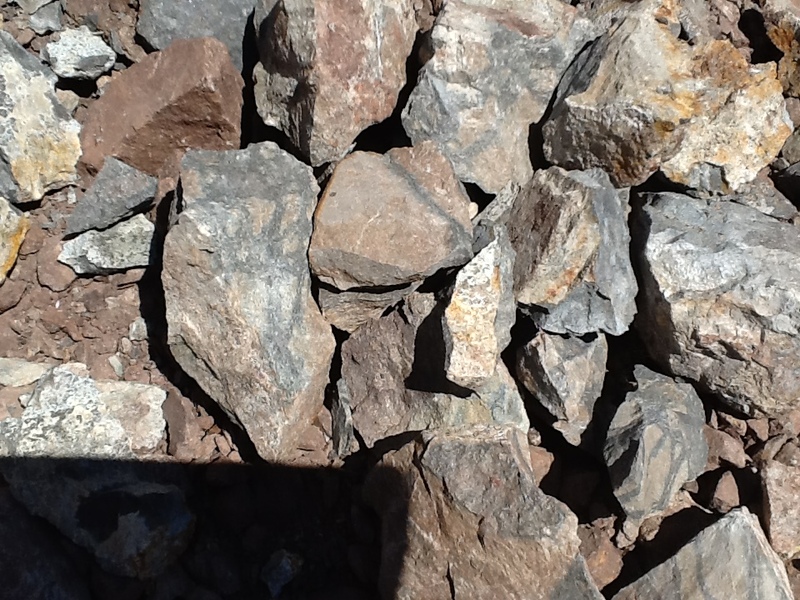 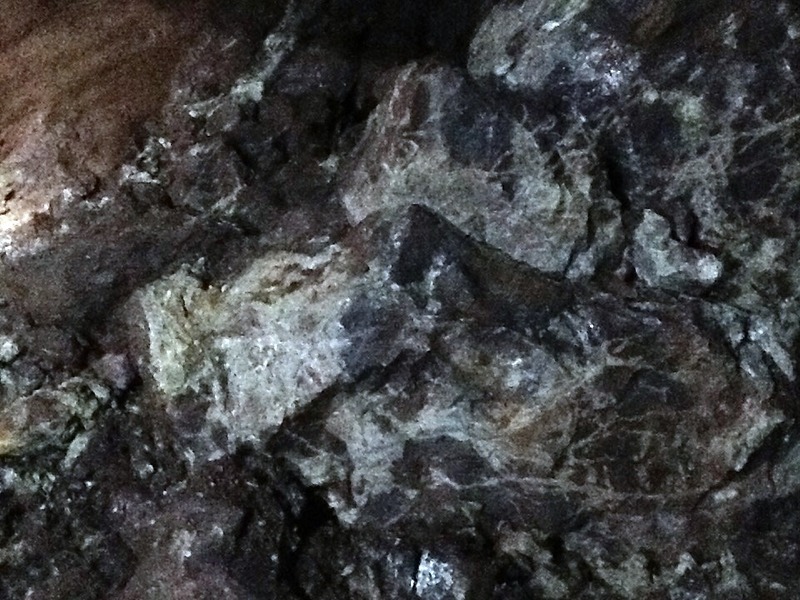 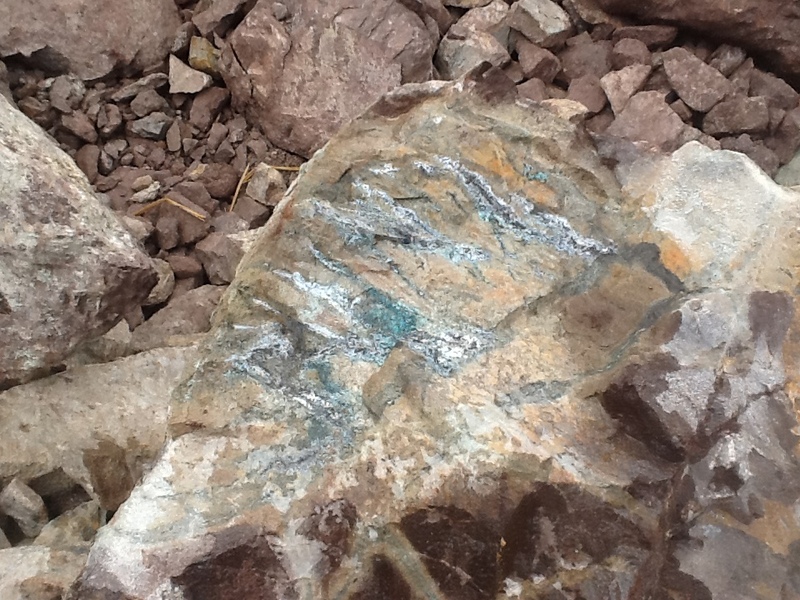 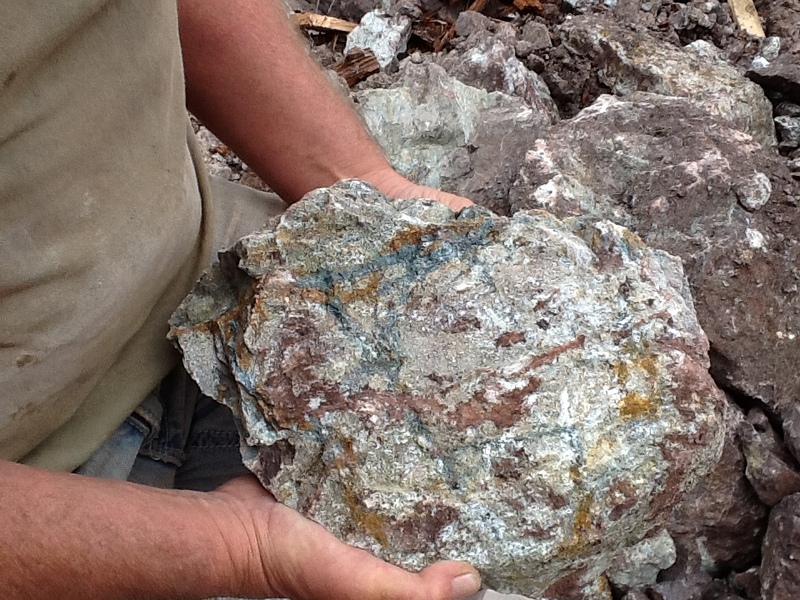 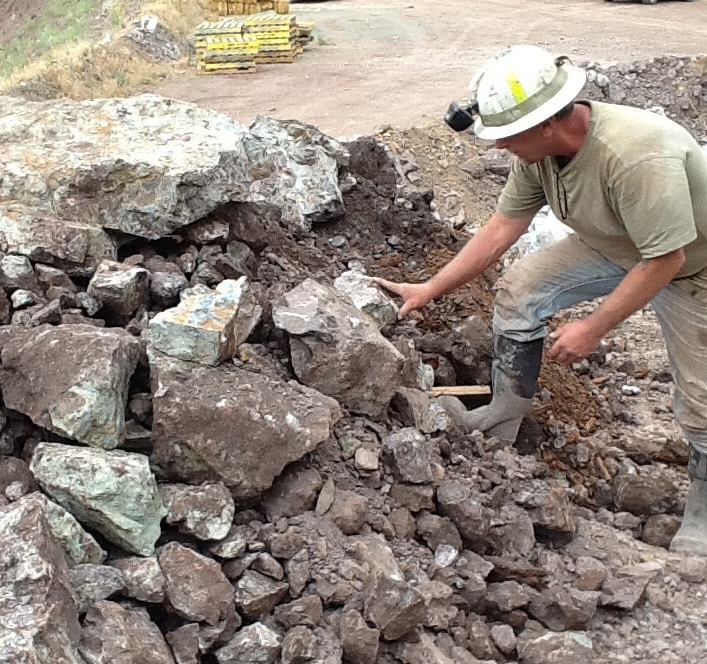 Rocks at the mine – Mineralization at the Bayhorse Silver Mine occurs in a rhyolite host within veins, stockworks, replacements and pods dominated by sulfosalts tetrahedrite-tennantite, acanthite and other sulfosalts together with abundant sphalerite (Leitch 2013). 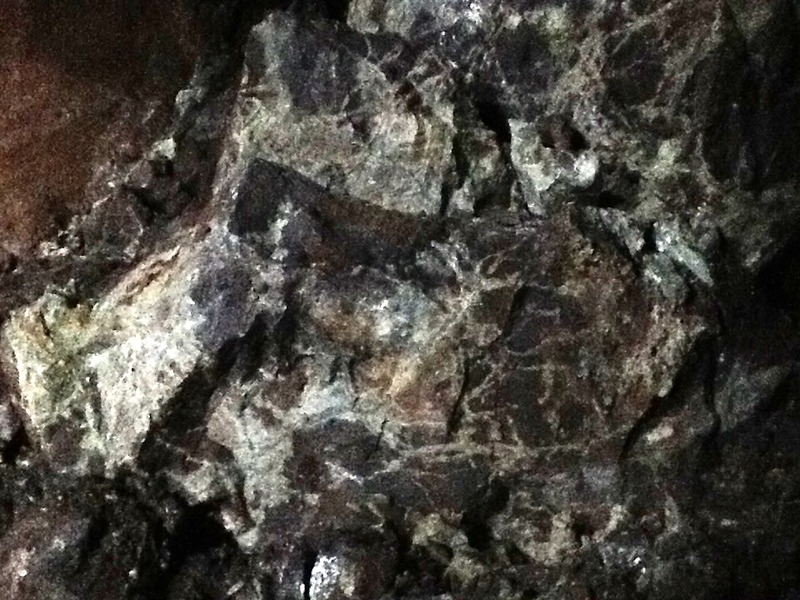 Chalcopyrite, galena and minor pyrite are present.